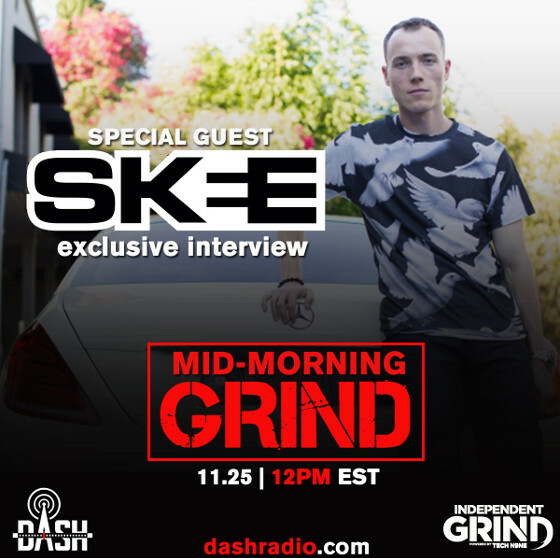 DJ SKEE will be on the air for an exclusive Mid-Morning Grind Interview! When is the DASH Android app coming? Was anyone at your old stations pissed when you resigned from radio? What’s the ultimate vision for DASH Radio? Independent Grind Radio has been playing you the latest and greatest in independent hip hop. Who better to bring it to you than Strange Music, the authority on all things independent? Thanks to DJ SKEE and DASH Radio, we’ve been given the platform to do so, and couldn’t be happier to have SKEE on the air for this Mid-Morning Grind exclusive.